Skittles anyone? Gosh, they are one of my favourite sweets and I get them almost every time I am at the movies. Today's nail art design is called the Skittlette however, which has two accent nails in the middle highlighting the new phase in my life; music with my love for the colour pink. 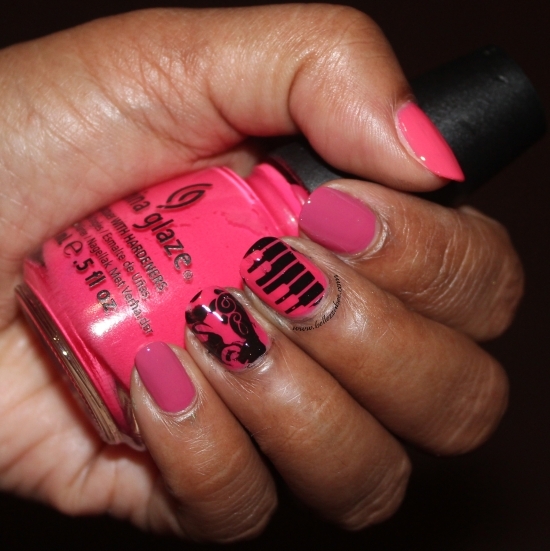 My design uses three colours of pink from China Glaze. The black musical stamped used Konad black stamping polish and plates.